To prepare the dressing: place all the ingredients into a bowl. Using a stick blender, blend well until the dressing is smooth and green. 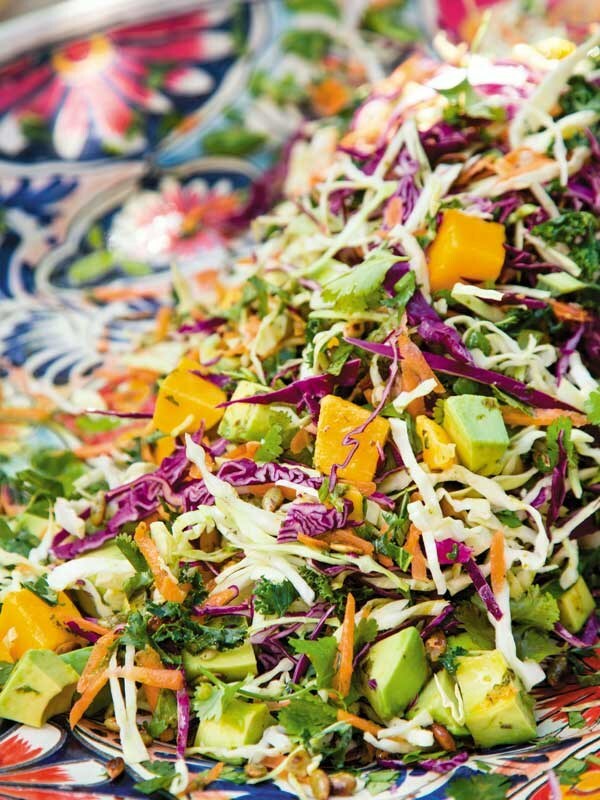 To prepare the salad: in a large serving bowl combine all the ingredients for the slaw. Pour the dressing over the slaw and mix until well combined.